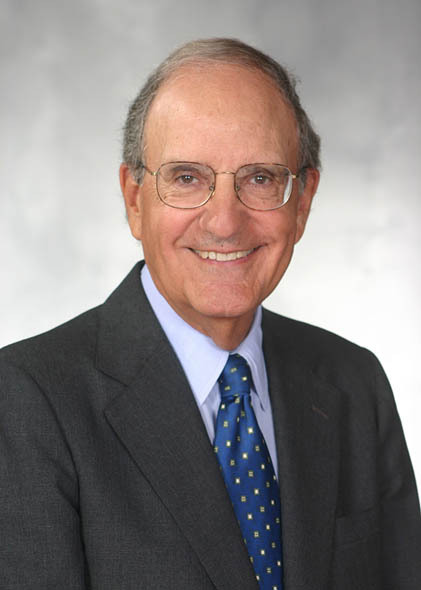 George Mitchell, the former U.S. senator who served as President Obama’s special envoy for Middle East peace until last spring, delivers the keynote address during a weeklong celebration of international and interdisciplinary education at Bates in October. Mitchell speaks at 5:15 p.m. Thursday, Oct. 27, in the Bates College Chapel, 275 College St. His talk follows the dedication of Hedge and Roger Williams halls, recently renovated by the college into academic facilities that are advancing the Bates education still further across national and interdisciplinary boundaries. Visit the Open to the World website. More about the Hedge and Roger Williams renovations. More about the speakers . During the 4:15 p.m. dedication, Paul Marks ’83, chairman and CEO of the aerospace materials maker Argosy International Inc., offers remarks about living as a global citizen. Mitchell’s talk and the dedication of Hedge and Roger Williams halls culminate Open to the World: Bates Celebrates Unbounded Learning, the Oct. 24-28 series of events. The week’s speakers also include Gary Hirshberg P’13, “CE-Yo” of yogurt maker Stonyfield Farm. The full Open to the World schedule will be announced later in October. For more information, please contact 207-786-6336 or arichard@bates.edu. Monday, Oct. 24: Bates observes United Nations Day. Tuesday, Oct. 25: Translations: Bates International Poetry Festival opens with a 4 p.m. welcome, readings by international poets at 4:45 accompanied by English translations, and an evening reception at 6, all in Chase Hall Lounge, 56 Campus Ave. This five-day event includes poets from around the world presenting their work, accompanied by translations created by Bates faculty and students; and a conference on the art and practice of translation. For more information, please contact gdumais@bates.edu or 207-786-8293. Wednesday, Oct. 26: At 6 p.m. is a screening of Food, Inc., the Academy Award-nominated documentary exposing the corporate-controlled, industrialized underside of American food production. Following the screening at 7:30 p.m., Hirshberg, a prominent figure in Robert Kenner’s 2008 film, offers remarks. 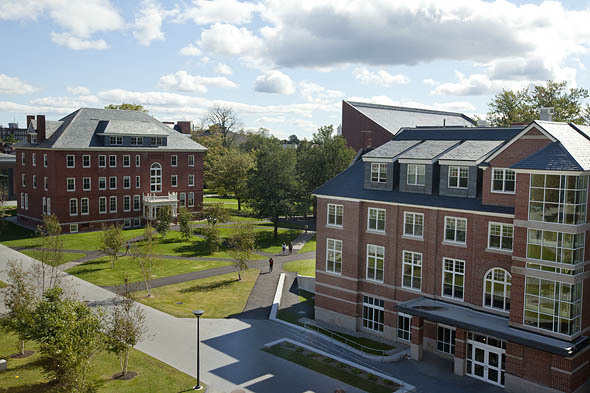 Olin Arts Center Concert Hall, 75 Russell St.
Thursday, Oct. 27: Hedge and Roger Williams halls are rededicated at 4:30, followed by Mitchell’s keynote. The keynote will be simulcast in Perry Atrium, Pettengill Hall, 4 Andrews Road (Alumni Walk). A reception in the atrium follows Mitchell’s speech. Friday, Oct. 28: In “Global Possibilities,” five young Bates alums discuss their experiences with initiatives that have both local and global consequences; at 4 p.m. in the Keck Classroom (G52), Pettengill Hall.